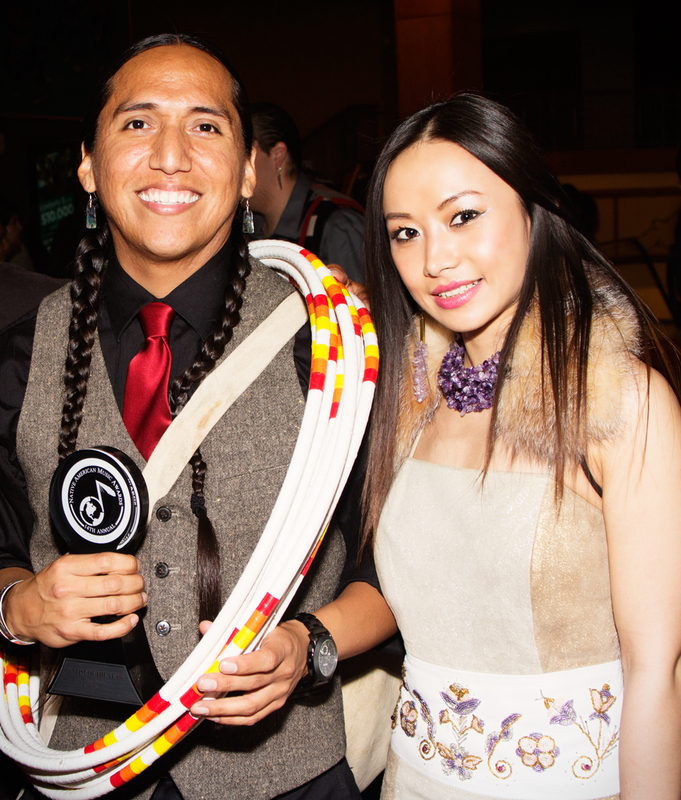 On the American side of the Border with Canada a stones throw away from Niagara Falls in the Seneca Casino and Hotel complex, Native American and Canadian artists celebrated the best of their culture, music and vibe at the 14th NAMA (Native American Music Awards). They were joined by Chinese Star Ayi Jihu, herself a Yi Native, to pay tribute and award those from their community who had shone most brightly in 2012. 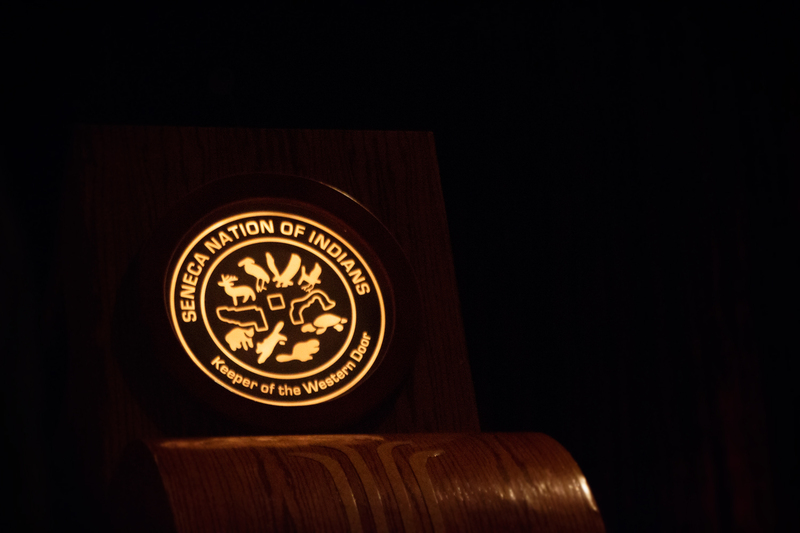 Like many of you reading this, we had no idea the native American Indian community even had an award ceremony. 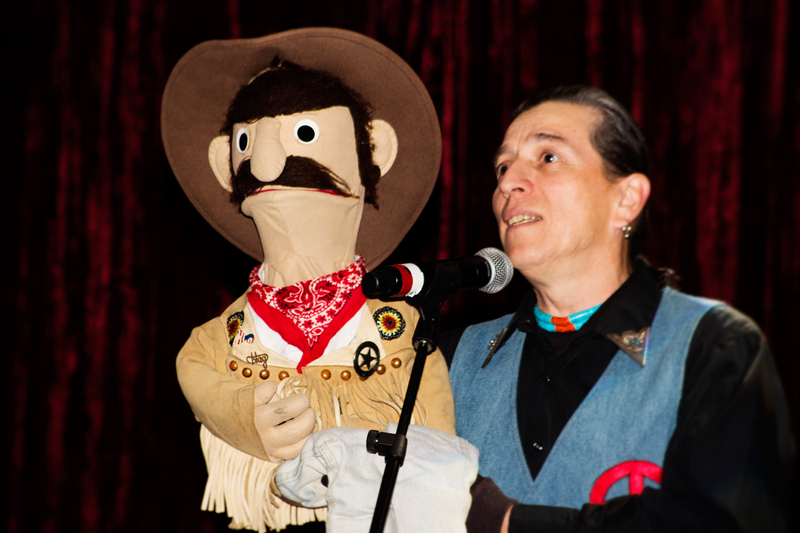 We were oblivious to the Native American music scene and we had no idea what to expect. What we discovered was a vibrant Native American music community and scene and it has amazing artists who would top any chart in RnB, Hip Hop, pop, blues, soul as well as it’s own distinct music and identity. Having been to quite a few award ceremonies around the world, the first thing that struck me about the NAMA’s was the people that attended it. The moment you walk into the building you are aware that you are surrounded by characters, personalities, talent and passion. There was not a tux in site. Everywhere you looked people were saying something with what they were wearing, the diversity in the way people dressed gives you a clue to the distinctiveness in the style and music of the event itself. You will see everything from Traditional native regalia to ‘blinged out’ street style and all in between and for some reason which we could not quite figure out, it just works. It’s beyond just being cool, it’s interesting and for the most part very real. Ayi Jihu was styled by Top Native designer Angela DeMontigny. 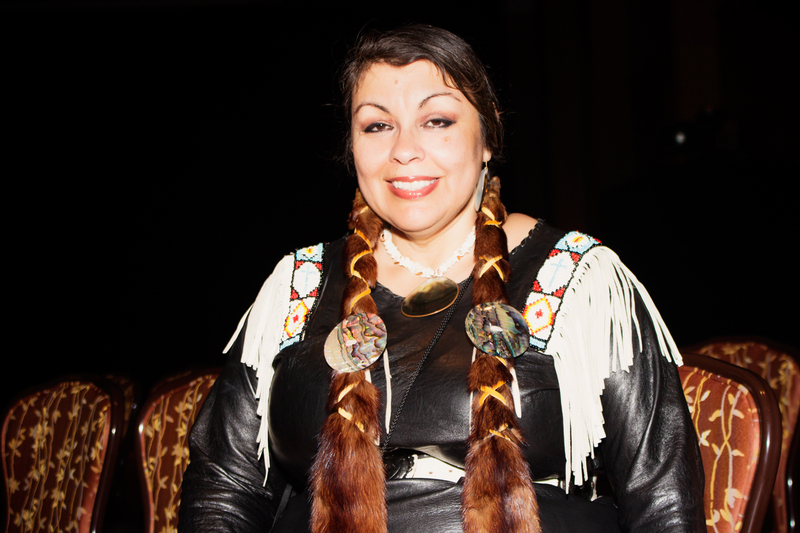 She is no stranger to this event and has dressed many of the native community’s biggest stars. It is her relationship with Chinese star Ayi Jihu however that is finally getting her the recognition she deserves and the dress she designed and styled Ayi Jihu in was definitely a show stopper. The rich diversity and style at the NAMAs was evident everywhere and gave us a hint of what was to come on stage. 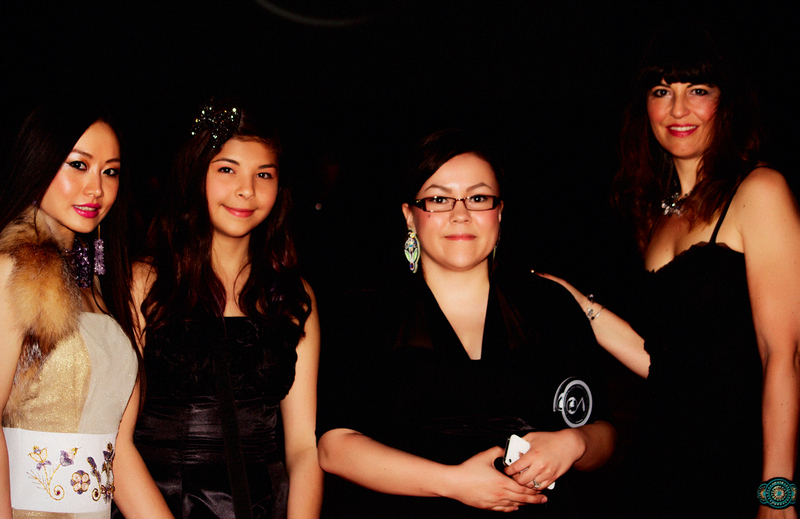 Ayi Jihu and Angela DeMontigny were presenting an Award together with Native Star Terri Lynn. 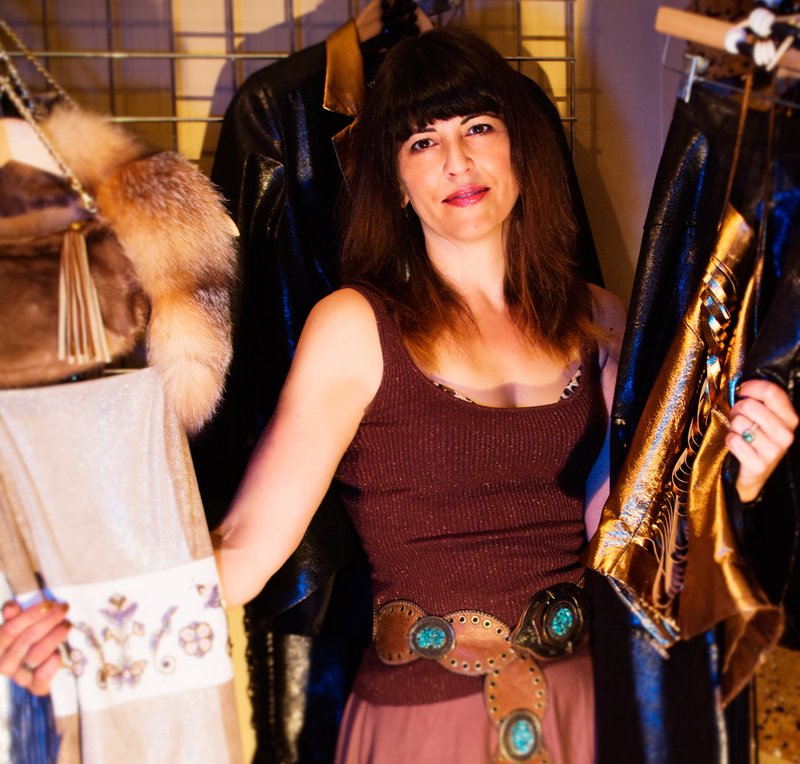 Terri Lynn who is also styled by Angela DeMontigny looked stunning in her designs on and off stage. She was nominated in several categories. 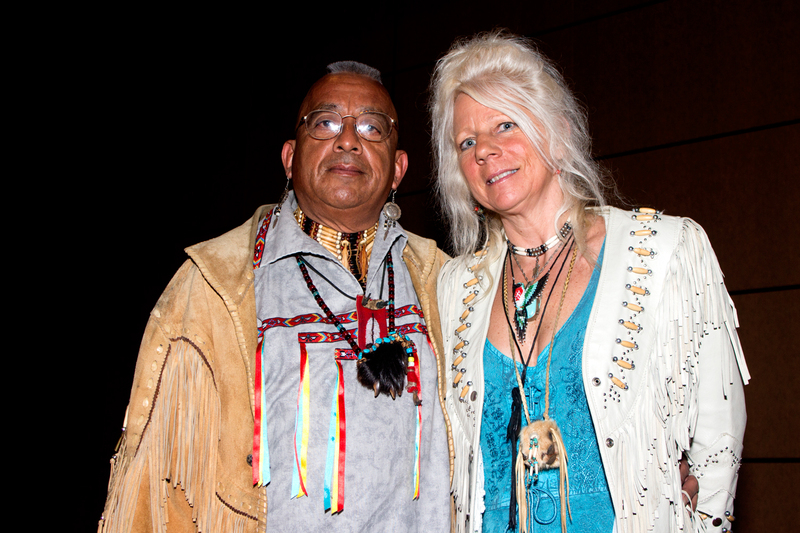 The NAMA’s showcased many genres of Native American music from the traditional to the new. Artists like Jana Mashonee who performed with rapper ‘The Boy Illinois’ represent the pop side of the Native American music scene. She has won several awards in the past. 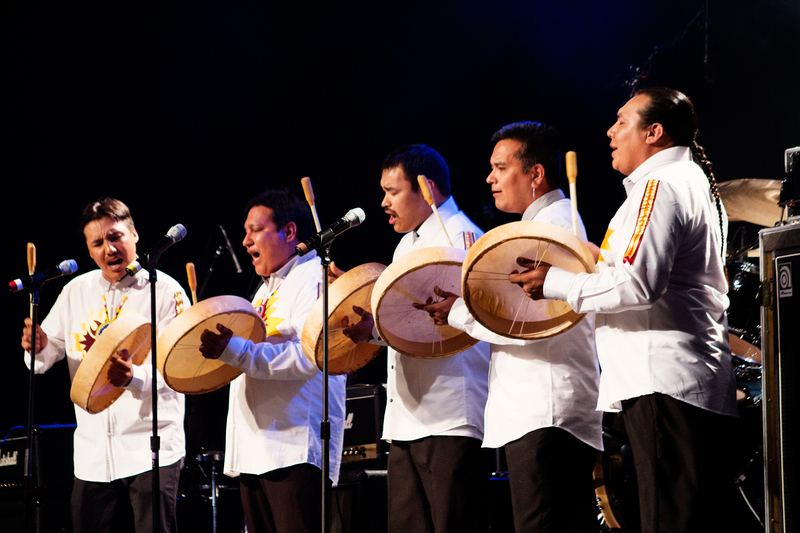 The traditional artists and music at the NAMA’s also makes this event a little different. 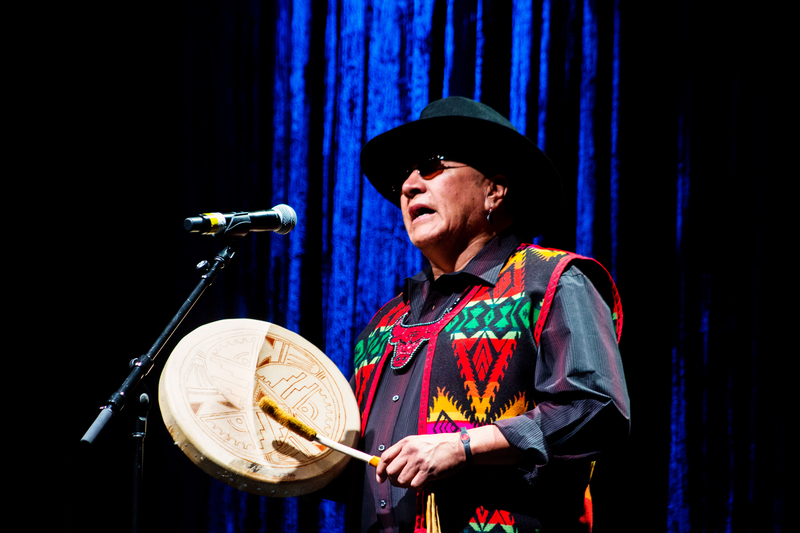 The Native American Music community has some amazing vocalist and performers. The grooves and melodies from Native American Music seem to have many elements that we hear in popular music today. The use of the drum is also very similar to how drums are used in African culture and music as well as Asian Music and culture. 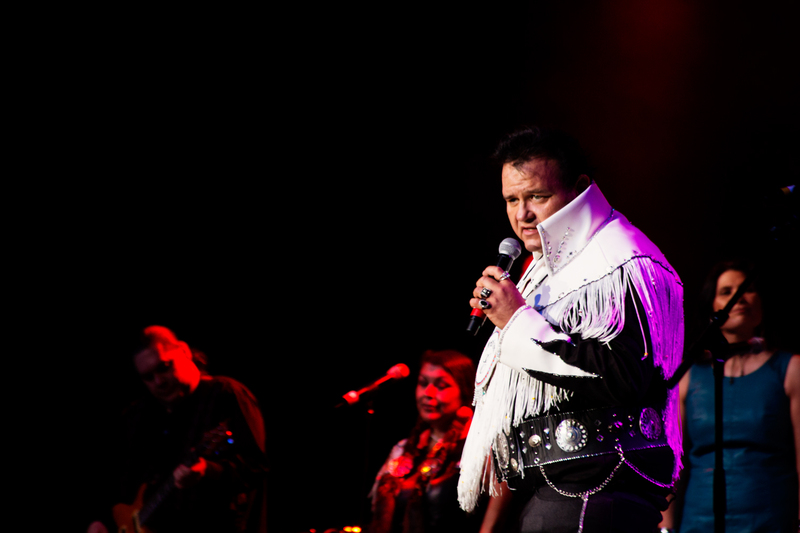 Thrown up in between the traditional and the new are artists like Indian Elvis. 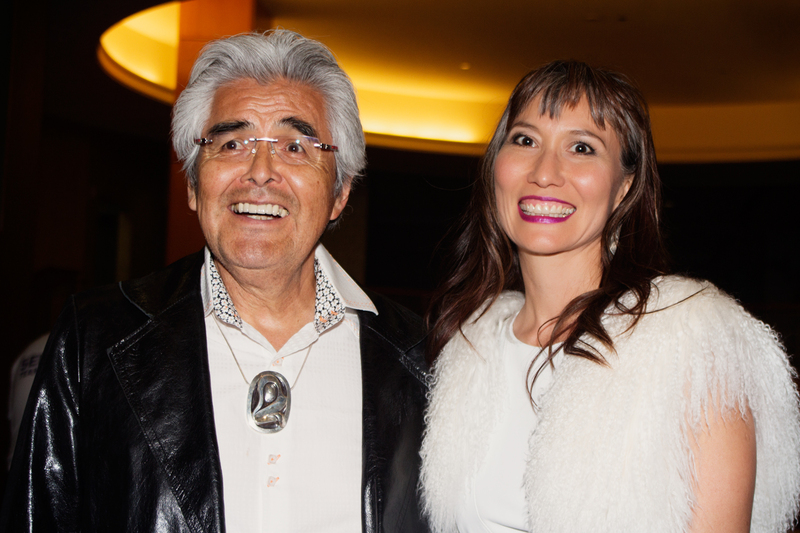 We had access to all areas at the NAMA’s and found the spirit and friendliness of the Artist, organizers and fans beyond anything we had experienced before. It made us wonder why the Native American Music community has remained such a secret. The talent in their ranks is comparable to much we have now also. Native Legends like Russell Means star of oscar winning movies like ‘Last of the Mohicans’ (Who sadly passed away) where honoured at the event. 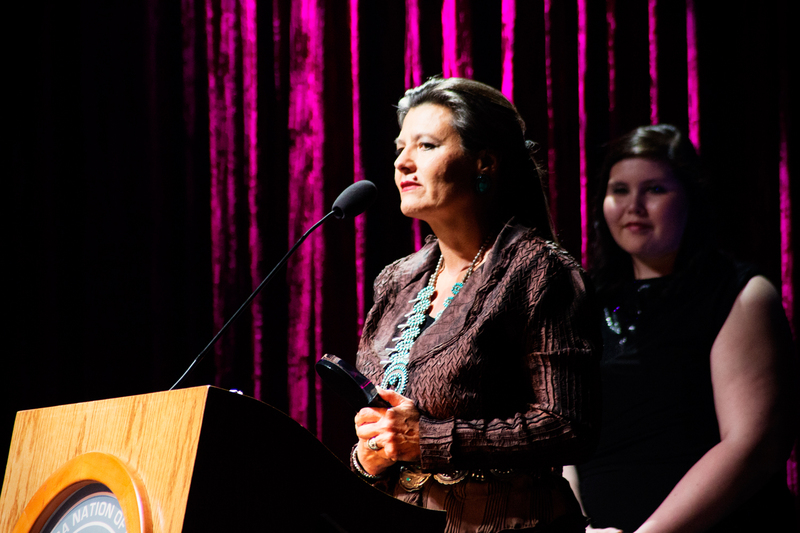 The wife of Russell Means picked up his award. 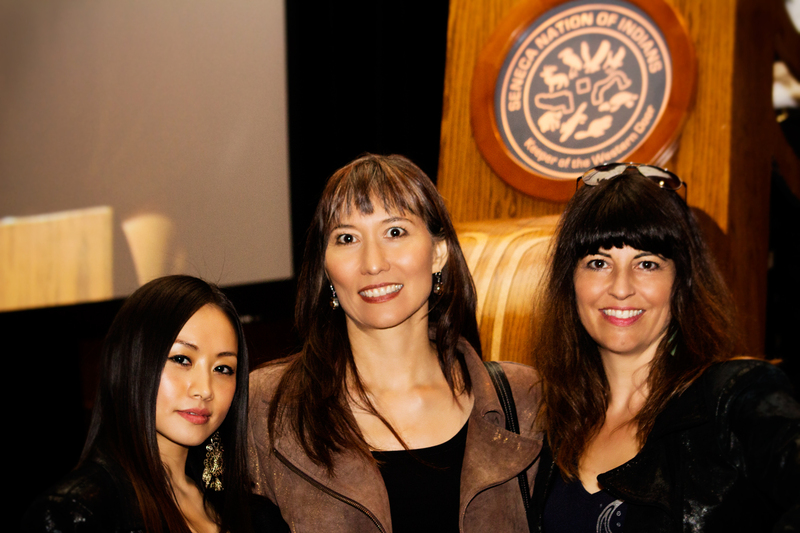 Ayi Jihu met with many of the award winning Native artists at the NAMA’s. Hoop Dancer Tony Duncan who has performed with several major well known stars on their videos and was introduced to the world by Nelly Furtado won who won the Artist of the year award, was an example of the talent, dignity and humility of many of the Native American artist we saw on the night. 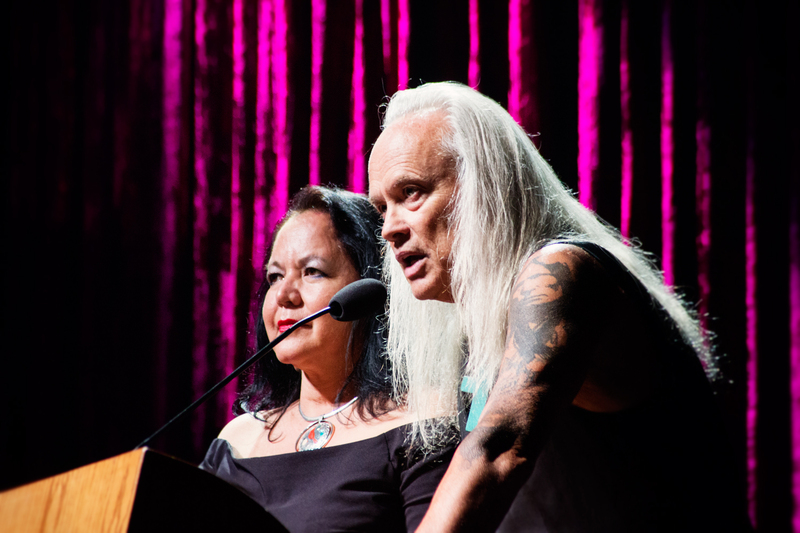 Watching Ayi Jihu alongside Native Fashion Designer and Haida star Terri Lynn present at the NAMA’s was a nice bit of history, but to us it was also a clue as to why the Native American music scene has not perhaps realised it full potential as yet. Artist like Nelly Furtado are far and few between, when you see just how much talent there is within the Native American community you realize that getting themselves out there in the right light (for them) is perhaps their hardest battle. We spoke to Ayi Jihu after she award ceremony and asked her how she felt about being the first Chinese artist to do what she did and what she felt about the NAMAs? 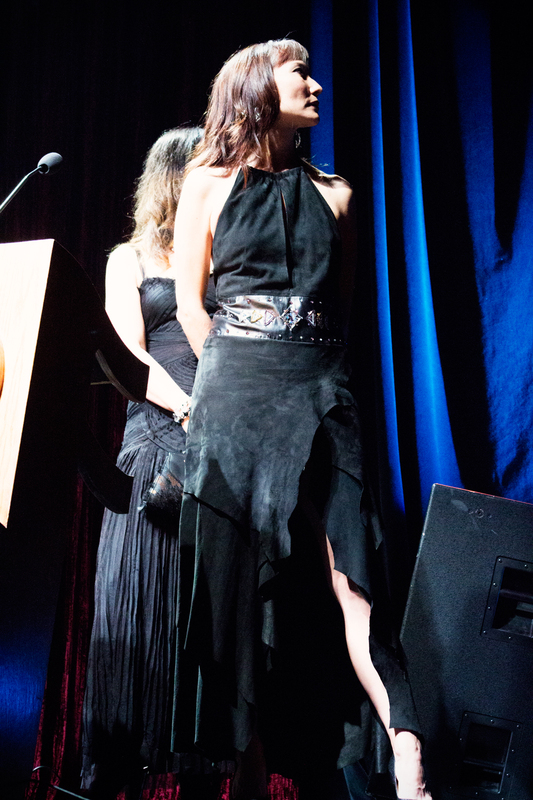 “Firstly I want to thank Terri Lynn and then the NAMA’s for inviting me here and making me feel so welcome and at home. I also want to say a big thank you to Angela DeMontigny who not only styled myself and Terri Lynn but who also made this whole thing happen. I feel privileged to be here. I feel a great responsibility to represent my people well and I see the same thing here among the Native American music community. 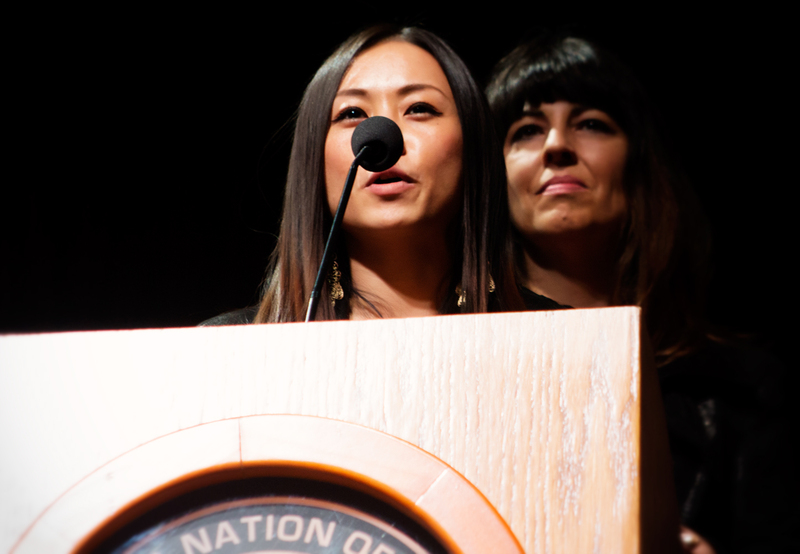 I was not on stage for very long and I did not say very much, but I was aware of the significance of everything and just hope that my presence here will turn a few eyes towards the Native American community in a positive way as well as help people all over the world see that we are all in fact just one people. Sounds like big words but it is so true. 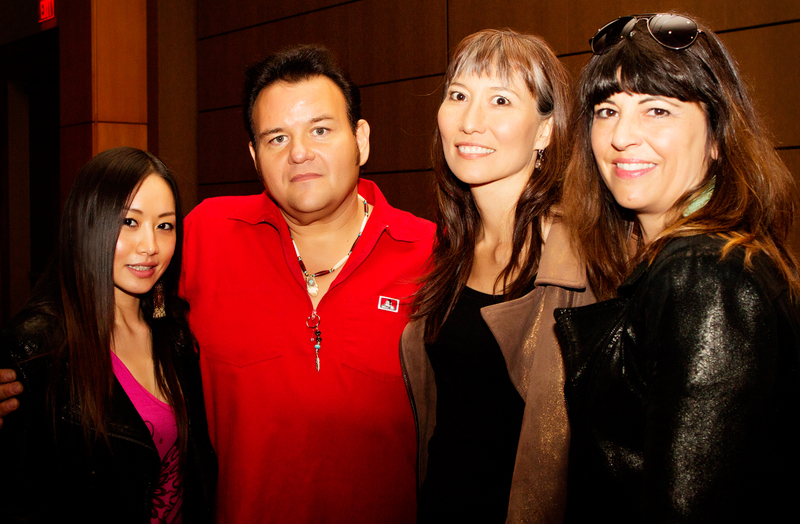 Ayi Jihu with Haida Native singing star Terri Lynn and Top Native Fashion designer and stylist Angela DeMontigny at the NAMA awards. Everyone I met here was so interesting and kind. I did not feel like an outsider or someone who was here for the first time. I felt very much at home. There are many things my people [Yi People of China] have in common with the Native American community, from our love of music to the strong connection we have with our culture, history, traditions and our land. It’s a shame that these types of events are not broadcast to the kids of the world so they can see there is more than one way of being, more than one way vision of how things can be. I hope the Native American Music community will invite me again and others like me to participate in their celebrations so that the world begins to take notice of all they have to bring to the table. I have seen some truly amazing artist tonight, singers, dancers musicians and comedians. They are so very talented these people. autobabes.ASIA Magazine Edition 1 Available Now !